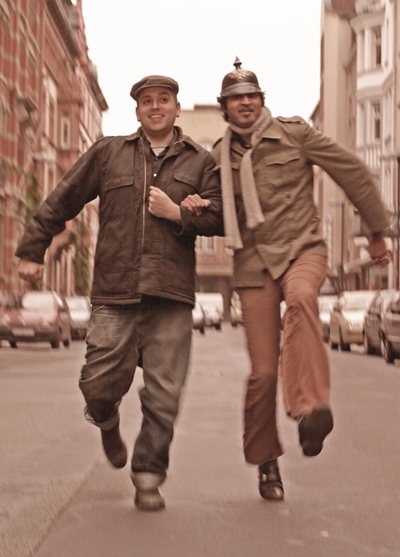 The_King_Khan_and the BBQ_Show was a Canadian Garage rock duo from Montreal, Quebec who mixed doo-wop and punk. The band was composed of former Spaceshits bandmates Mark Sultan and Blacksnake, alias King Khan. Mark Sultan, under the pseudonym BBQ, contributed vocals, guitar, tambourine, bass drum, and snare drum, while King Khan provided lead guitar and vocals. An entertainer named Leo Chips, formerly known as Age of Danger of the Deadly Snakes, (the SHOW in King Khan & BBQ Show) joined the group as a drummer and organist for some shows during the Invisible Girl U.S tour in 2009.